The nation of Israel is hosting a major international meeting/exposition focusing on “air superiority” tactics. Over 20 nations have sent their air force chief officers or their deputies to this gathering. The USA and UK are among the attendees, as are the air force chiefs of many NATO and European nations (first link). It is worth noting that India and Vietnam are represented as well. Both nations have been moving closer to the West due to the threat to both nations from growing Chinese militarism. The link also indicates some Arab Muslim nations are attending as well, but their participation is not being publicized due to sensitivities within the Muslim world. It is not clear whether the list of nations present was by invitation only or if some were invited but declined to participate. The second link emphasizes that this gathering of military aviation leaders celebrates the 70th anniversary of the founding of the Israeli Air Force (IAF) which coincides with the founding of the nation of Israel, and it adds that the air force commanders will participate in a “combined aerial exercise” and meet Israel’s Prime Minister, Benjamin Netanyahu. The second link gives a somewhat broader listing of the nations participating in this top-tier military gathering. This major gathering of air force chiefs come at an auspicious time. Israel has become the first nation anywhere to use the new American-designed F-35 warplane–regarded as the most technologically advanced airplane anywhere–on operational missions. The third link, from the Japanese media, reports that Israel has used the F-35 in operational missions already and that Israel even released a photo of an Israeli F-35 flying over Beirut. It is widely believed that the Israelis have used the F-35 on missions against Iranian military assets inside Syria, and a photo of an Israeli F-35 over Beirut supports that conclusion. The fourth link, from the British media, asserts Israel has used the F-35 in missions inside both Syria and Lebanon and cites an Israeli official as stating: “We are flying the F-35 all over the Middle East (emphasis added).” This statement allows for the possibility that Israeli F-35s have been on operational missions in more nations than in just Syria and Lebanon. Indeed, there have been reports that the Israelis flew two F-35s into Iranian airspace and names three Iranian cities that were overflown (fifth link). That link also asserts that the Israeli F-35s were undetected by any Russian air defense systems. I’m not aware that the Israelis have officially acknowledged such a mission, but the Israeli statement that F-35s are being used “all over the Middle East” certainly allows for that possibility. In checking the internet, I reviewed an article that opined that any Israeli mission over Iran was “fake news,” and one reason it cited for that conclusion was that Israel would not want news about any such mission leaked out if it happened. I couldn’t disagree more with that analysis. If the F-35 mission over Iran did occur, leaking the news (which happened via a Kuwaiti media source) could be strategically beneficial as it might deter Iran from military adventurism vs. Israel. The air force commanders gathering in Israel will certainly have many questions for their Israeli hosts. They will surely ask whether Israeli F-35s have encountered and evaded Russian technologies built into Russian S-300 and S-400 air defense systems. 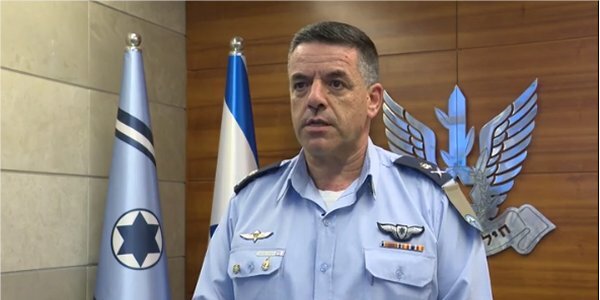 Perhaps Israel will confidentially allow the air force chiefs an opportunity to view actual mission footage of Israeli air missions with the F-35. The gathering will surely be an opportunity for the USA to market the F-35 to other allied air forces throughout the world while they are there to witness and learn about the F-35s combat performance and capabilities. There is one more enhancement that is being made to the F-35s that are in the later production stages. The final link, from the Australian media, has a description of the plans by the USA to modify the F-35s to carry and drop nuclear weapons. This development would mean the F-35s already purchased by other nations could potentially be modified to all be capable of carrying and delivering nuclear weapons...anywhere in the world the F-35 is used. I’m sure that Russian, Chinese and Iranian officials noticed that report in the Australian media, and it may serve to deter those nations from military adventures vs the USA and allied nations–which may be the very purpose of why this new capability for the F-35 was officially leaked. That last link about F-35s being modified to carry and drop nuclear weapons pertained to the US Air Force, but I noticed the photo in the link depicts an Israeli F-35, not an American F-35. Was that a mere editorial oversight or was it an unstated hint? Readers can form their own opinion on that question. The gathering of so many air force commanders from the western world and its allies in Israel at this time bodes well for the security of the Israeli nation going into the future. Many air force commanders from other nations are in Israel to learn air superiority tactics from the Israelis and receive cutting-edge insider advise on how best to use the F-35. This means many nations view a good relationship with Israel as good for their own nations’ security interests. In closing, I’d like to comment on a prophecy which I think some Christians misunderstand regarding the Israeli nation in the latter days. Over the years, I’ve heard some Christian teachers cite Zechariah 12:3 as a prophecy that all the nations of the world will be united vs. the Israelis in the latter days. I don’t believe the prophecy specifically states that will be the case (although that is how some translations render it). Zechariah 12:1-6 prophesies definitively that God will not abandon the Israelis (“Judah” in biblical terms) “though all the people of the earth be gathered against it” (KJV). The word “though” in that prophecy is a conditional or rhetorical word, not a definitive one. The prophecy is meant to emphasize God’s absolute commitment to the survival of the Jewish nation in the latter days…no matter what the rest of the nations on earth do. I do not believe all the nations on earth will be against the Israelis. The gathering of top air force chiefs from around the globe cementing ties to the Israelis supports such a conclusion.